What services does your business offer and what makes your business stand out from the competition? We rent Polaris Slingshots in Las Vegas. We have the Biggest selection of Rentals in Las Vegas to choose from. What was the inspiration to start or run this business? We are Las Vegas Natives and wanted something cool and fun to offer our Tourist. What do you love most about your job?The things we love most about what some people call a job, we call it a passion and love to serve people. We get a joy out of seeing people drive off in something that they wouldnt ordinarily do. Then when they get back and tell us that they will be buying one when they go home to where they are from, Thats a cool feeling too. 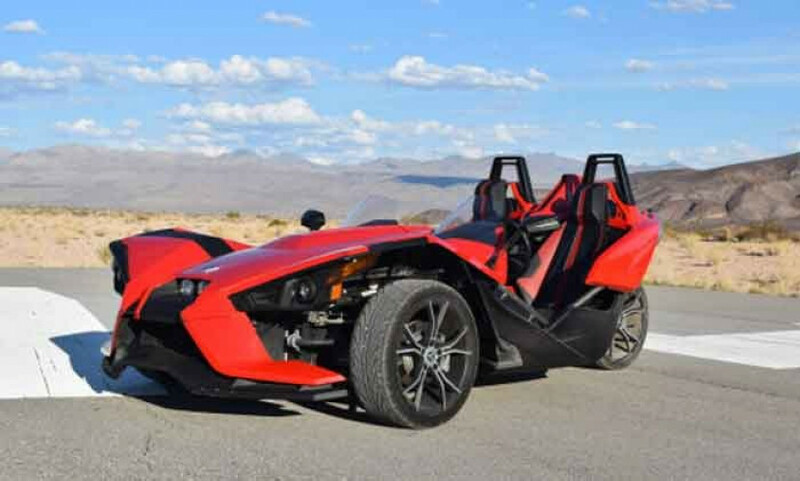 What is the best reaction you've ever gotten from a customer?The best reaction weve ever gotten was a customer that Rented a SlingShot to take up to Red Rock Canyon to Propose to his Girlfriend. She Said YES !